Canada’s Browns Shoe shops cover it all—from $30-vulcanized kicks to $600-plus designer stilettos. Browns goes to the nines in design, décor and merchandise selection. Not only is the store’s breadth of product massive, so is its customer base. Brownstein notes that Browns carries a little something for everybody. “A grandmother can shop at Browns as well as her grandkids,” she notes. 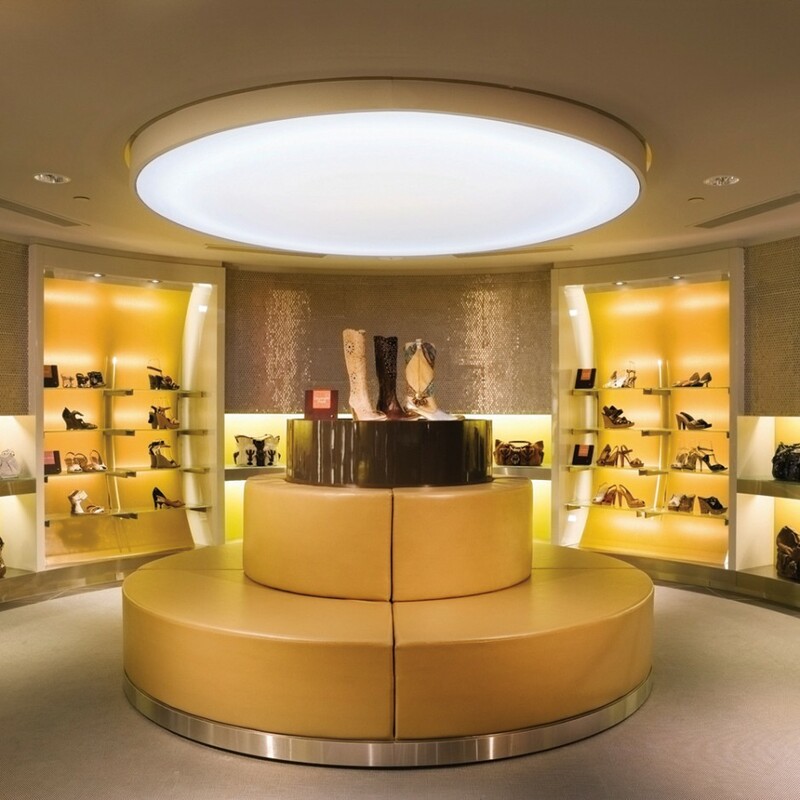 Women’s shoes make up the majority of the business, but the store also carries men’s and children’s footwear as well as handbags and other accessories. Brownstein declares the retailer’s top brands are Michael Kors, Sorel, Stuart Weitzman and Ugg Australia (Browns bills itself as the largest Ugg dealer in Canada). The chain is also big on fashion athletic brands such as Converse, Keds, Nike and Adidas as well as designer brands including Tods, Gucci and Marc Jacobs. “It’s a one-stop shop for shoes,” Brownstein explains, noting Browns’ prices range from $30 to several hundred. “We don’t want someone to come in our store for something and go to another store for something else,” she adds. Walking into a Browns store—or browsing online at Brownsshoes.com—shoppers will also find brands as widespread as Chie Mihara, Cesare Paciotti, Blondo, Chooka, Miss Sixty, Betsey Johnson, Aquatalia, Clarks, Hugo Boss, Geox, Ed Hardy, Miz Mooz, Naughty Monkey, Magnanni, Hush Puppies, Frye and more. The original concept for Browns, which has earned high marks among Canadian consumers for its customer service and selection, wasn’t for it to become solely a footwear store. Brownstein explains that in 1940, her great-grandfather, Benjamin Brownstein, opened up shop as a general store in Montreal’s shopping district on St. Catherine Street. In 1954, a fire gutted the business and Benjamin’s son Morton Brownstein took over giving the company a new direction by focusing on fashion footwear. “There weren’t so many [shoe] retailers in Canada at the time,” Brownstein notes, adding that her grandfather built up the company from one location to almost 50. Today, Morton Brownstein is still involved in the business but works more on its charitable side, while his son, Michael Brownstein, serves as the current president. The stores range in size from 2,500 to 4,500 square feet and are merchandised according to gender and style—except for the high-end shoes, which have their own section and are categorized by label. Each Browns location has a different setup and interior design, but overall, they share a modern aesthetic, complete with handpicked upholstery and chandeliers. “We really pride ourselves on our décor,” Brownstein says. “We hire an amazing architect and interior decorator.” B2 follows the same philosophy, just with an edgier appearance. While the teams may have slightly different missions, the overall goal remains the same: Choose product that is eye-catching, No. 1, because that’s what gets people in the door. After that, Borrelli says price, comfort, fit, and quality all play equal roles. “We want to excite [consumers] with the windows and displays,” he explains. His and Brownstein’s team meet at least twice per week to make sure they’re on the same page. Men’s, children’s and accessories each have a separate buying team. Once in the door, customer service is king. Browns is keen on providing top-notch attention and recently launched a test program at select stores in which staff are going above-and-beyond by offering freshly brewed coffee, shoe cleaning and more to anyone who walks through the door. A customer relationship management team in the corporate office follows up with the chosen stores to gauge shoppers’ feedback. But Browns locations not a part of the test program still go the extra mile on a daily basis: Staff will call customers when new merchandise arrives in their size, send them cards thanking them for their purchase and give them a heads up before a sale. For example, if a woman can’t live without her Stuart Weitzmans, a salesman might put aside five new styles of flats and suggest she come check them out. “They feel so special that it often leads to a really big sale,” Brownstein says. Browns not only keeps the customer in mind, however; it also its plays an important role where philanthropy is concerned. The company donates 10 percent of its pre-tax profits to charities, spanning from the Jewish General Hospital to the Montreal Association for the Blind. In 2004, Morton Brownstein was recognized for his fundraising efforts when he was appointed to the Order of Canada, a merit honor that recognizes people who have made the world better by their actions. In addition, the company sponsors an annual $3,000 scholarship for students in Montreal fashion schools.